The Notre Dame spire and the statues trace their roots to the mid-19th century work of a bold visionary who, at the age of 30, was commissioned to restore the cathedral and replace an old spire after years of neglect. 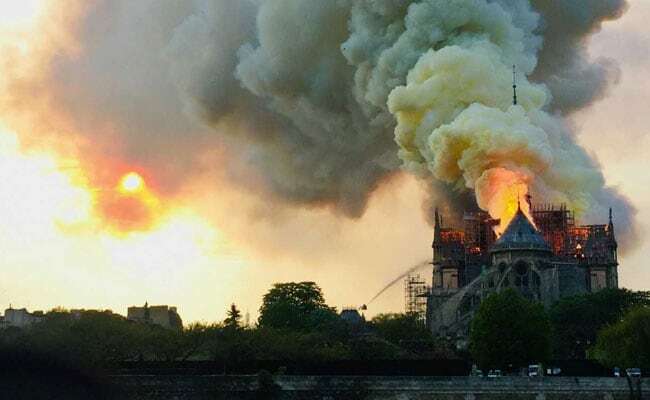 A huge fire swept through the roof of the famed Notre-Dame Cathedral in central Paris. Their removal was a "magical moment," given that the statues had not been seen up close since the original architect put them there more than 150 years ago, Marie-Helene Didier, a French official overseeing the restoration, told AFP news agency. It was supposed to be part of a badly needed restoration project for the cathedral's spire. But now, after an inferno engulfed the famous cathedral Monday night, the statues' removal seems more akin to a rescue mission. 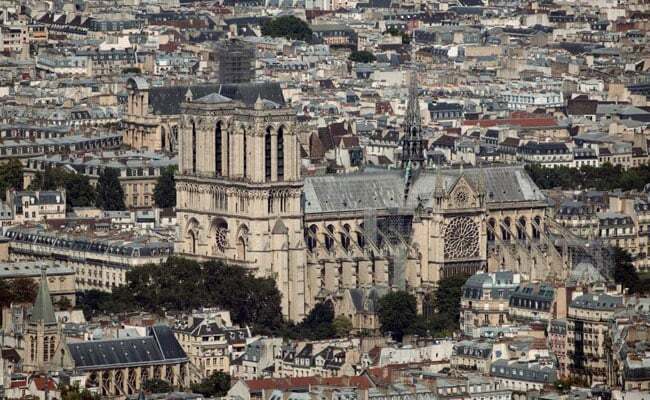 The 16 religious figures, which were whisked off to southwestern France, appear to be among the only surviving remnants of the famous cathedral's beaming spire that, for decades, pierced the Paris skyline like an arrow - until it toppled to the ground Monday. "I'm completely nauseated," Olivier Baumgartner, who was working on the spire restoration project, told the New Yorker on Monday. 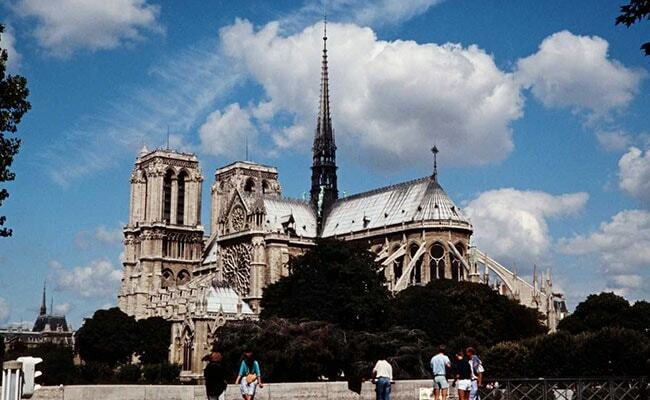 At the time the young architect Eugene Emmanuel Viollet-le-Duc was chosen in 1844 to spearhead the restoration project, Notre Dame was crumbling. The ravages of the French Revolution had left scars. Mobs had kidnapped the statues of kings that adorned the cathedral and beheaded them in a public square. Bells that rang from the cathedral's towers were melted down into cannons. Sheets of acid rain had eroded the medieval stone and the gargoyles and monsters perched along the church's edges "had weathered to an unrecognizable nubbin," architectural and art historian M.F. Hearn wrote in one biography of the architect. But not everyone loved Viollet-le-Duc's architectural philosophy, Murray said. He had a peculiar vision: To him, restoring the cathedral didn't mean merely making it look like it used to; it meant restoring it to a state that the original architects perhaps dreamed of achieving - but never could. He wanted to fulfill a vision that, in the course of centuries, had never been completed, Murray said. And to some critics, this was presumptuous, even egotistical, Hearn wrote. 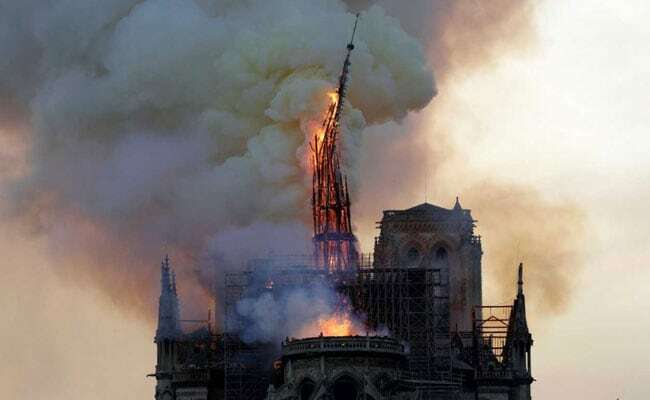 "He really thought he could almost become the medieval architect of the building," said Stephen Murray, a medieval art history professor emeritus at Columbia University who has studied the cathedral's Gothic architecture and the journals of the man who erected the spire. The spire, made of wood and covered in a protective lead coating, would soon bear this fruit, Murray said. Despite his critics, Viollet-le-Duc's finished product would become a fixture in the Parisian sky, a religious beacon that in France is called "la fleche," meaning arrow. In addition to the spire, Viollet-le-Duc ultimately restored the entire western facade of the church over 25 years, including the bells, the beheaded statues and the priests' sacristy, which had been burned down by revolutionaries in 1848. Viollet-le-Duc's partner, Jean-Baptiste Lassus, died in 1857, leaving him with the liberty to carry out his vision. Viollet-le-Duc didn't view the Gothic architecture as merely a fashionable design, Murray said, but rather as an indelible part of France's national identity. In any case, the design holds tremendous religious significance to the millions who visit the cathedral every year. Before the spire fell, at its top was a rooster. In 1935, the archbishop of Paris decorated it with a piece of what is believed to have been Jesus Christ's crown of thorns, making the rooster a "spiritual lightning rod" protecting all the parishioners within, according to the cathedral. And at the spire's bottom were the 12 apostles and the four evangelists - the winged man, lion, ox and eagle that symbolize Matthew, Mark, Luke and John. In fact, one of the apostles, St. Thomas, who is the patron saint of architects, is believed to have been sculpted in Viollet-le-Duc's likeness, perhaps as a testament to his work, according to the cathedral. St. Thomas was the only apostle facing the spire rather than looking out at the city of Paris, Murray said, as though he were surveying the spire's beauty.